From Jessica Simpson to Hilary Duff, the work of makeup artist Sally Biondo has graced some pretty amazing faces. Sally believes in using natural, organic makeup, and she has a very unique take on beauty. Read on to find out which mascara she loves, her tip for healthy skin and so much more. I was born and raised in New York but lived in Paris for many years. In 2000 I began my studies at Farmingdale State University of New York, majoring in Art & Design. Simultaneously, I attended Gloria Francis Beauty School, where I became certified in skincare & makeup. After my studies I worked and trained with Bobbi Brown and soon after found myself in Paris collaborating with photographers, working at Four Seasons Paris and working with bridal planners doing bridal hair and makeup. I've been doing makeup forever and I still love every minute of it! As a little girl, my grandmother would always let me play with her makeup. I remember being fascinated with the colors and soon after found myself drawing, painting and taking art classes. Being involved in art really paved the way towards my career in makeup. Color theory, creativity and having a steady hand prepared me for becoming a makeup artist. It was during 1999 when I truly became immersed in the world of beauty. This was mainly due my deep rooted interest in Kevyn Aucoin's book, Making Faces. This book was my beauty bible. I would practice recreating every look on myself, friends and family. I know that you focus on green, natural makeup. What made you want to head in this direction? I always lived a healthy lifestyle and turned to organic living as far back as I can remember. The switch was very natural for me. As soon as I found out what was in mainstream cosmetic products, I started my quest toward building my non-toxic beauty kit. This took years and a ton of research! I guess I was ahead of my time because when I first became interested not many of these beauty lines existed. As the years went on, more and more high quality, non-toxic companies started to surface and it became easier for me to fully commit my passion as an Eco Makeup Artist. RMS Beauty Un-Cover Up. It has full coverage and is made with raw, 100 percent organic ingredients. 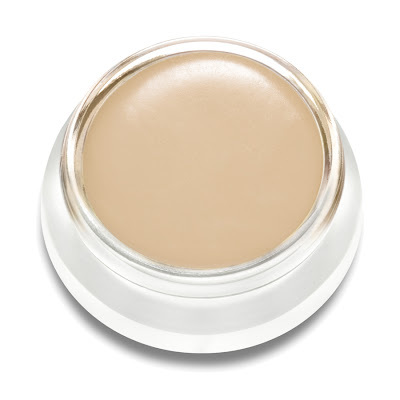 I also love RMS Beauty Living Luminizer -- it gives a soft glow to the skin. 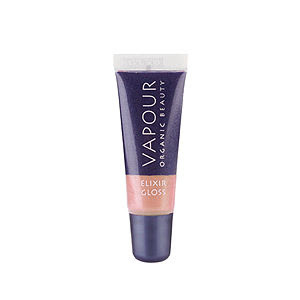 Vapour Organic Beauty Elixir Lip Gloss. It's super rich and creamy, I love the way it glides on. Honeybee Gardens Pressed Mineral Powder Foundation. 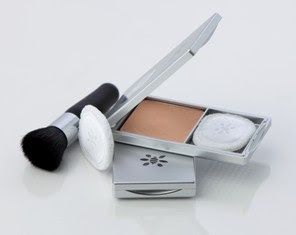 It gives beautiful coverage and is convenient to throw in your purse on nights out. 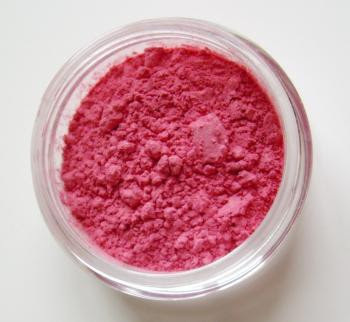 Pin Up Cosmetics Blushing Betty Vegan Mineral Blush. It gives a soft hint of color to the cheeks and the packaging is so pretty! 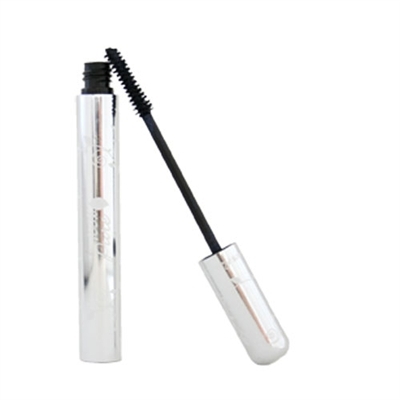 100 Percent Pure Fruit Pigmented Mascara. It's great for sensitive eyes, thickens lashes with black tea and berry pigments. 1) To achieve even, healthy skin, don't overdo it. Apply just what is needed. Maybe a little concealer for those dark circles, a touch of concealer on that blemish and a light dusting of your favorite mineral powder to even out your skin tone. 2) Wash your face every night and exfoliate once a week. It's so important to remove your makeup daily in order to maintain healthy looking skin. Your skin will be more even and your makeup will go on more smoothly. 3) Don't forget to have fun! Lots of women come to me and talk about how they do the same exact beauty routine every day. Where's the fun in that? I'm sure most of you have a color in your makeup bag that you've barely touched, why not give it a try! If you see a new lipstick that you'd like to try, why not actually give it a try. Even if you're not going out, just for fun, sit down in front of your mirror and try recreating it. You just might find that new look you've been searching for! My spare time is spent with my family. When we have off, my husband and I love taking my little one to the farm. Our little guy loves the outdoors so we try to get out as much as possible. Lately, I find myself drawing with him a lot, so much fun! On our down time we work on our products for the Etsy shop, French Soap -- all products are organic, fragrance free and all natural of course!